For all who are involved in making music, remixes and DJing, io.lab crew prepared a special gift of a sample pack created by Czech producer MERAK. 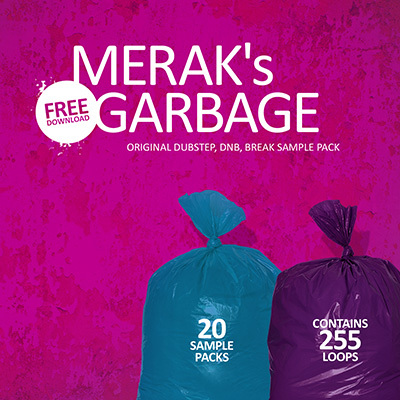 The package "MERAK's Garbage" include 20 sound collections, which together contain 255 original drum loops, wobble, subbas, synth or effects which fall mainly into the dubstep genre, but also drumandbass or breakbeat. Upload the package to your friends, or just send to your favorite producer :) ... MERAK's Garbage is free to download!